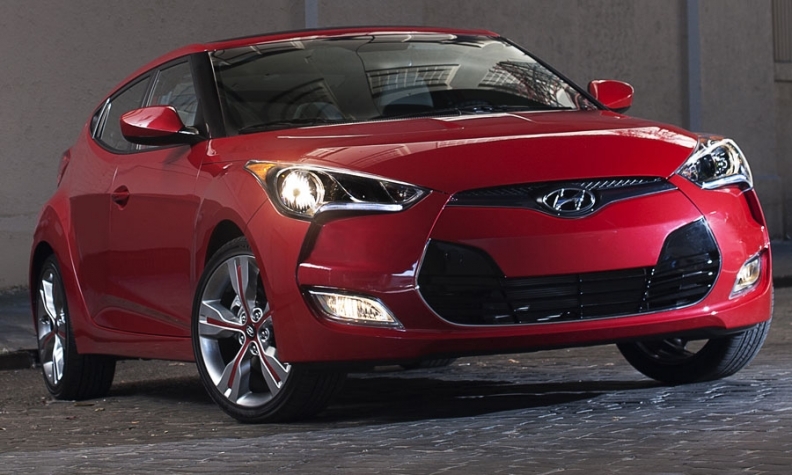 The 2012 Veloster is a key to Hyundai's planned U.S. sales growth next year. LOS ANGELES -- Hyundai's U.S. sales boss said global production constraints will slow the company's rapid U.S. growth in 2012. Dave Zuchowski, executive vice president of sales for Hyundai Motor America, says Hyundai is planning to increase production for the United States by 8 percent next year. That's far below the 21 percent U.S. growth Hyundai posted in the first 10 months of 2011. The U.S. industry grew 10 percent in the same period. "Our growth curve will slow down a little bit, but it's a function of global capacity constraints," Zuchowski said at the recent Los Angeles Auto Show. Most of 2012's planned growth will come from sales of new products such as the Veloster sporty coupe, which went on sale in October, and the redesigned 2012 Azera large sedan, which arrives in February, Zuchowski said. Although the 2012 production increase will be modest, any increase in vehicle availability should be welcomed by dealers. Hyundai inventories stood at a 26-day supply on Nov. 1, the third-lowest of any brand in the United States and less than half of the industry's 57-day supply, according to the Automotive News Data Center.